Everyone likes to save money. From cutting coupons to searching for online deals every person in the world is looking to shave off a few dollars here and there. And car insurance is no exception. When people buy a car, either their first or just a new one, the next thing they think about is purchasing car insurance. 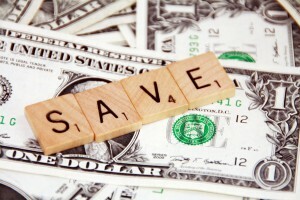 What most people do not do is research ways they can save money while insuring their vehicle. Thankfully, you do not have to look further than this article for tips on how to save a few bucks on car insurance! A surprising number of people simply go with a recommendation from a friend or family member instead of shopping around. At first blush this may sound like a good idea but it might not do your wallet any favors. Do your research and shop around for the best deal! Also, be aware that when comparing costs that a price with one car insurance company may not offer the same benefits as another. One might offer more for the same or even less. The only way to find out for sure is to contact each agency and ask! By “bundle” we mean bundling your car insurance with another type – homeowner’s insurance, for example. Many insurance agencies are willing to offer a discount to customers who purchase two or more types of coverage with them. Depending on your insurance agent, it is possible you can receive a significant discount. If you already have one type of coverage, contact your agent and ask if they have an insurance bundle which includes coverage for your vehicle. If you have found that you have driven less now than before consider contacting your insurance agent and negotiating a lower price for lower mileage. This is a great tip because being on the road less means less of a chance you could become involved in a vehicular accident. Keep this in mind when renewing or when shopping around for new coverage. By increasing your deductible – the amount you pay before your insurance kicks in – you could lower your car insurance premium, saving you money in the long run. Unless you are a magnet for accidents you do not have to worry about paying the deductible except for in an emergency. Combine this with a low mileage discount for extra savings! Does your car have an anti-theft device? Have you taken a defensive driving course before? Can you pay the entire premium at once? If you have said “yes” to any or all of these questions then you can save even more money! When signing up for new car insurance or renewing, mention that you have anti-theft devices installed on your car. Certain states allow you to receive up to a 10% insurance discount when you complete a defensive driving course. Some insurance agencies will give you a discount on your insurance overall if you pay the entire thing on the spot. Combining any number of these discount will save you a ton of money. Keep each of these tips in mind when you are shopping around for can insurance and you will save a lot of money!